Pool and lawn maintenance is something best left to the professionals. If you need pool or lawn maintenance, choose Dorian Construction. Not only do we build beautiful waterscapes, we also tend to them with expert care and precision. Properly maintaining a pool is a full-time job. We will ensure that your pool looks beautiful, that the water sparkles and the tile are spotless! First and foremost, your pool must have the correct pH balance. This way, the germ and bacteria-killing chlorine will be able to work as it’s supposed to. If your pool’s water is not balanced appropriately, there is a chance that the sanitizer won’t work as effectively as it’s supposed to. 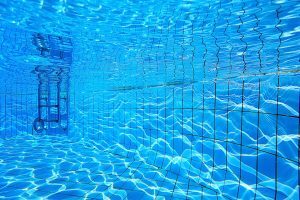 Dorian Constructions pool maintenance services will make sure your pool is safe from harmful bacteria so you can enjoy it fully and completely. An unclean pool is less than desirable. Keeping a pool clean is simple when you choose Dorian Construction. With our vacuuming services, your pool will be spotless and enticing year-round. You can choose automatic vacuums that consistently work to keep your pool spotless or manual pool vacuuming services. Regardless of your choice, you’ll be able to see the results consistently. Let us keep your pool clean and safe from scale buildup or debris. Proper tile maintenance is necessary in order to keep your pool looking clean and beautiful. If your pool has unbalanced pH levels, the tile can become patchy and dirty. We understand whats necessary for the tile to be safe from any scale buildup. It is our goal for all pools to be as beautiful as possible. We understand whats necessary for a pool to achieve the highest level of cleanliness. If your pools tiles are damaged or require aesthetic maintenance, we can also help! The pool filter works incredibly hard, day in day out, to keep your pool sparkling clean. Filters aren’t magical things that work effortlessly at all times. Regular filter upkeep and maintenance is necessary in order to make sure your pool is as clean as can be. No matter the kind of filter you’re using, we can help. At Dorian Construction, we specialize in creating gorgeous pools and landscapes. But we dont stop there. Regular upkeep and maintenance is required in order for any pool or home landscape to remain resplendent. Our lawn maintenance services will keep your landscape fresh and beautiful year round. If youre looking for the best pool and lawn maintenance in El Paso, contact us today!